I am SO excited that one of my most favorite events of the year, Sabroso, is almost here! Sabroso has been an annual event since 2014, you can read my recaps for 2014, 2015, and 2016. I'm even more excited, because of some RAD changes that will be coming to Sabroso this year. 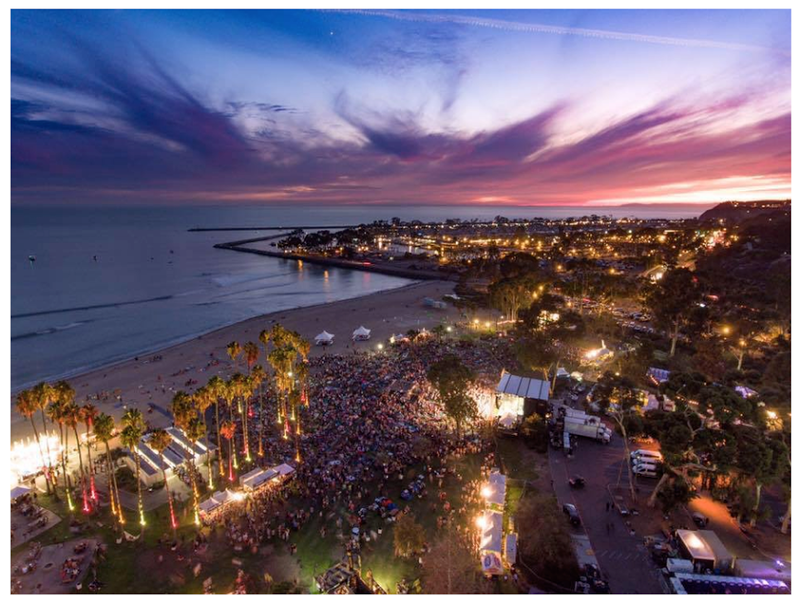 KLOS presents the fourth annual Sabroso Craft Beer, Taco, & Music Festival powered by Gringo Bandito and it will be held at an all-new location, Doheny State Beach in Dana Point, CA on Saturday, April 8th from 1:00 p.m. until 9:00 p.m. (VIP opens an hour earlier at noon). 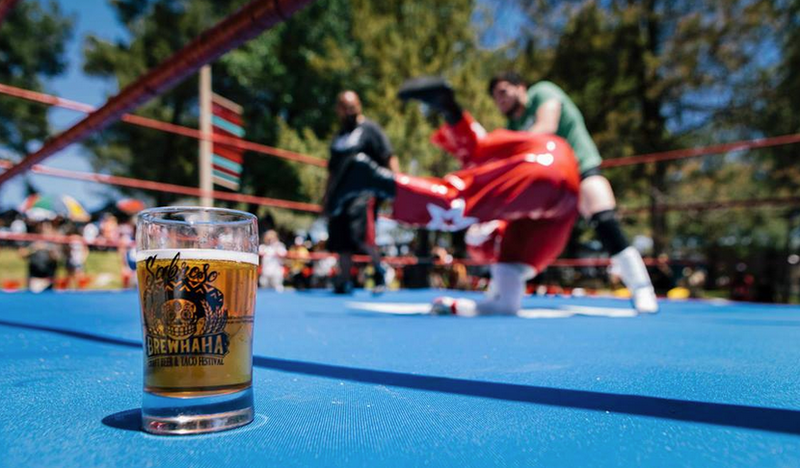 This year's event will once again be produced by California's most successful and respected craft beer festival producer, Brew Ha Ha Productions and premier music festival production company Synergy Global Entertainment (SGE), KLOS presents Sabroso Craft Beer, Taco, & Music Festival will feature live music, lucha libre style wrestling by World Power Wrestling (WPW), games, contests, complimentary craft beer tastings (until 4:00 p.m.) from some of the best breweries in the country, and $3 tasty gourmet tacos from the region's top chefs and restaurants. Sabroso will feature a music lineup headlined by Orange County-based, multi-platinum rock band The Offspring, along with performances from Sum 41, Rival Sons, Lit, Unwritten Law, and the world's first and only heavy metal mariachi band, Metalachi, as well as roving performances by local mariachi bands. Throughout the festival, taco lovers can indulge in $3 gourmet tacos from top local chefs and restaurants. These titans of taco creations will all compete for the coveted Sabroso “People’s Choice” awards, as selected by attendees via Text-To-Vote. “Best Of Show” will be awarded by a panel of highly acclaimed and pre-selected food judges. Many taco experts are expected to participate, including these past Sabroso “People’s Choice” and “Best Of Show” winners returning to defend and reclaim their titles: Chef Jimmy Martinez from Pour Vida - Anaheim, Chef Cody Storts from Salt and Ash – Placentia, Chef Rashad Moumneh from Falasophy - Santa Ana, Luis Flores of Meat Up BBQ - Placentia, and Chef Hop Phan from Dos Chinos - Santa Ana, just to name a few. Other local favorites include Chef Greg Daniels from Haven Gastropub, the Ninjas With Appetite Truck (N.W.A. Truck), Devilicious Truck, LIME Truck, Stadium Brewing Co., The Kroft, Chronic Tacos, and many more. Sabroso Craft Beer, Taco & Music Festival will feature renowned craft breweries including Bottle Logic, Bootleggers, Riip Brewing, Pizza Port, TAPS Fish House and Brewery, Stereo Brewing, Fall Brewing, Barley Forge, Ritual Brewing, Modern Times, Artifex Brewing and more. Attendees are also invited to sample all flavors of Gringo Bandito, Dexter Holland of The Offspring’s top rated hot sauce during the event. In addition to live music, tacos and craft beer offerings, Sabroso attendees will be entertained by lucha libre style wrestlers like Red Spider, La Golosa, Lady Lee and Mariachi Loco, who will take to the ring for four action packed qualifying matches, followed by a championship match. Sabroso Craft Beer, Taco & Music Festival runs from 1:00 PM – 9:00 PM on Saturday, April 8, with VIP entry beginning at noon for an extra hour of complimentary exclusive tastings in the VIP lounge. The festival is open to those 21 and up. Festival attendees will have the opportunity to roam throughout the lush grass areas of Doheny State Beach, right off the shore of the Pacific Ocean, touching the sand. sale tickets will be available via KLOS on Thursday, February 2 from 10:00 AM – 10:00 PM, exclusively for the station’s Workforce members. Visit www.955klos.com for more details. The VIP Lounge + Early Entry Ticket includes 1 festival admission ticket for craft beer tastings, music festival, VIP entry lane with one hour early entry for craft beer tastings (Noon), VIP lounge access with exclusive craft beer tastings and special taco vendors, front of stage viewing access, VIP bathrooms, and VIP commemorative laminate. A portion of the proceeds from Sabroso will be donated to the Doheny State Beach Interpretive Association (DSBIA), the non-profit cooperating association of Doheny State Beach, dedicated to the protection of the park’s beaches, facilities, marine refuge and its historical, cultural and social stories. General Admission and VIP tickets will be available for purchase for the following prices at www.SabrosoTacoFest.com. All tickets include complimentary beer tasting and access to view the music stage. Festival General Admission Tickets start at $60, and VIP Lounge + Early Entry Tickets are $99. Day Of Festival General Admission Tickets (if available) will be $75 per person. share. Please go to www.SabrosoTacoFest.com for all shuttle locations, ride share lots, bike valet and suggested areas to park. Sponsors for Sabroso Craft Beer, Taco & Music Festival include KLOS, Gringo Bandito and Chronic Tacos, with more to be announced.